The RCIA is a liturgical programme for adults who are searching and enquiring about the Catholic way of life. It is a process of prayer, instruction in the Catholic faith and reflection. 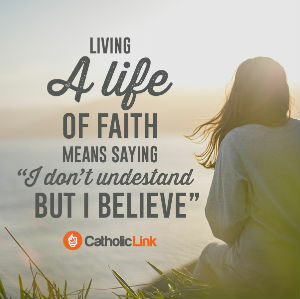 There is no set timetable as every individual is encouraged to pursue their own faith journey. If you have any questions or would like an informational meeting please contact Fr David, '01376 512219, or email the parish office. Click here to email.